You want an engaging speaker who can speak about leadership, education and authenticity. You need somebody who can speak to a wide range of audiences, including those at CEO and board level, across a range of industries. You want your audience to laugh, think and ultimately act. 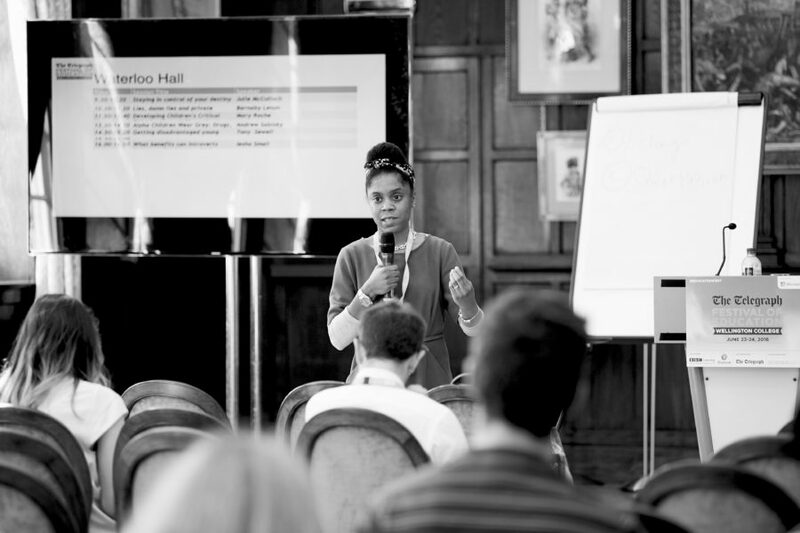 I have experience speaking and leading workshops for a range of professionals in the education and creative industries. If you want somebody who will encourage your audience to use their unique skills to challenge the status quo while creating positive change then contact me. Very impressed with Iesha Small. Deep and has amazing gravitas. Everyone hanging on every word, including the panel. Mary M, Oftsed Inspector and educational consultant. Thomas S, teacher, writer and educational consultant. Fantastic and authentic, your session was inspiring. Being honest is liberating and empowering. Kerry Jordan – Daus, Trustee. Thank you for a fab chilled and thoughtful session. Follow @ieshasmall and you might one day have the privilege to hear her speak! Now on the power of ‘why’ & integrity in intention. Scintillating talk. Packaging success? Effecting change? Knowing your audiences? Being true the self. Jeffrey Boyoake, writer and middle manager – via Twitter. Iesha is magical; makes even me think maths is beautiful. If you’d like to book me to speak contact me.